Every Wednesday we will post a totally wacky sale price on a variety of coffees including Keurig Kcups. Donut Shop Collection Keurig K-cup coffee is on sale for $11.99 per box of 24! 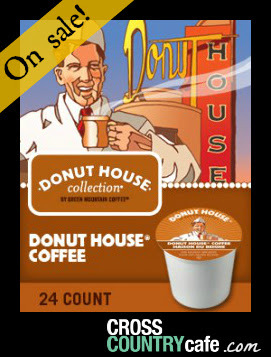 Donut House Coffee is a light roast Keurig Kcup from the Donut House Collection line of coffee, roasted by Green Mountain. Despite being labeled a light roast, this coffee has the consistency of a medium roast. 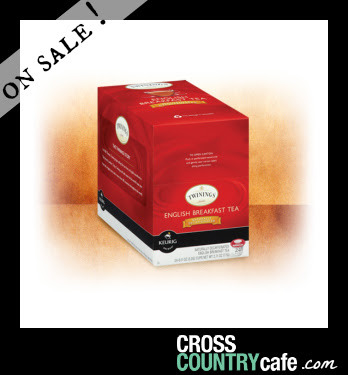 Twinings English Breakfast Keurig K-cup tea is on sale this week for $9.99 per box of 24! One of the worlds most popular teas brought to you in the convenience of a Keurig K-cup by the experts at Twinings. A hearty black tea that is full bodied enough to be enjoyed with cream. Sale runs Wed. Jan. 22nd thru Tues., Jan. 28th at midnight EST. Next articleIf Your Cat Could Talk, What Would She Say?